Cannabinoids can prevent cancer, reduce heart attacks by 66% and insulin dependent diabetes by 58%. 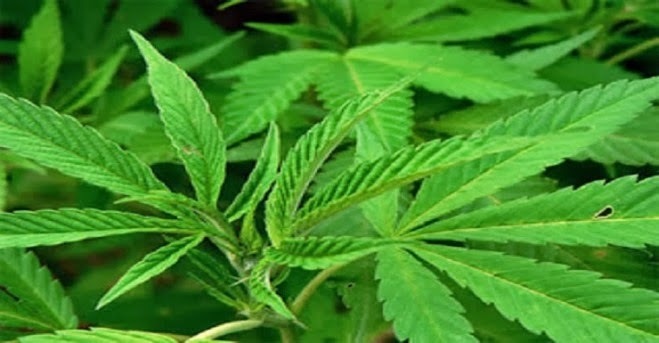 Cannabis clinician Dr. William Courtney recommends drinking 4 - 8 ounces of raw flower and leaf juice from any Hemp plant, 5 mg of Cannabidiol (CBD) per kg of body weight, a salad of Hemp seed sprouts and 50 mg of THC taken in 5 daily doses. Cannabis - whether Sativa, Indica, Ruderalis, male, female, hermaphrodite, wild, bred for fiber, seeds or medicinal resin - is a vegetable with every dietary essential we can't synthesize: Essential Amino Acids, Essential Fatty Acids, Essential Cannabinoid acids and hundreds of anti-Cancer compounds. Cannabis clinician Dr. William Courtney recommends drinking 4 - 8 ounces of bud and leaf juice of any Hemp plant, 5 mg of CBD per kg of body weight, a salad of Hemp seed sprouts and 50 mg of THC daily, divided into 5 doses with an Arachadonic acid source, such as Hemp seed oil. “If you heat the plant, you will decarboxylate THC-acid and you will get high, you"ll get your 10 mg. If you don't heat it, you can go up to five or six hundred milligrams & use it as a Dietary Cannabis. . . and push it up to the Anti-oxidant and Neuro-protective levels which come into play at hundreds of milligrams,” stated Dr. William Courtney. The body regenerates best when it's saturated with Phyto-Cannabinoids, which takes 3 months of Dietary Cannabis use. Patients exceeding 4 decades need Dietary Cannabis daily. Patients using blood pressure, birth control, Epilepsy, Anti-psychotic or any Cardiac medicines need more Dietary Cannabis to elevate their serum Cannabinoid levels. Oxidative diseases and Amphetamine, radiation or Alcohol damage can be prevented or treated with Cannabinoid therapy. Cannabinoids are particularly effective in the treatment of oxidative associated diseases of the CNS because they cross the Blood Brain Barrier and exert their anti-oxidant effects. Hemp juice has lowered blood pressure an average of 10 points within 2 hours. Patients suffering from end stage Cancer need to eat buds whole. Plants sprayed with anything shouldn't be juiced, but some pests are edible, such as Spider mites. To prepare leaves for a juicer, avoid rinsing - soak them in water for 5 minutes. Masticating juicers are efficient for leaves, buds and sprouts; a centrifugal juicer may need additional vegetables to chop fibers. To preserve juice fill containers so that air is minimized; a dose of juice frozen in an ice cube tray retains medicinal value. A sprout's prophylactic, analgesic, anxiolytic, anti-oxidant and activities peak within 1-2 weeks. For CBD without dysphoria from THC psycho-toxicity, heat bud to 166 degrees with a heat gun - the longer a bud is boiled, the less THC remains. D9THC boils at 157C, D8THC boils at 175C, CBD boils at 188C. Drinking heated juice for THC is more potent because there is less vaporization, adhesion and degradation to decrease potency. When calculating a dose of heated juice from a new strain make sure to begin with smaller doses: the amount of THC in a cup of juice can exceed 100 joints worth - which could leave one unconscious for a number of days - and even heated leaves can be psycho-active. A 20 mg dose of THC causes most patients to stagger, after 30 mg THC most are unable or unwilling to stand. Viable Hemp seed from the detoxyourworld, happilyraw and gojiking.co.uk websites approach pure CBD. Steam or UV sterilized Hemp seeds sprout at a lower germination rate; such as seeds from Nuts dot com, Avian Organics and Persnickety Parrot websites. Canadian Hemp seed oil contains 10 mg per kg of CBD; Swiss and Finland sourced Hemp seed oil can contain up to 50 mg of THC per kg. Swiss Hemp "essential" oil contains 540 mg of CBD and 3 mg each CBD, CBG and CBN per kg with no acids. Raw Cannabis produces non-psychoactive acidic Cannabinoids. It's medicinal at lower doses than heated preparations because constituents have an Entourage effect when they act synergistically. 90% of the medicinal constituents are destroyed with heat - such as terpenoids, which can greatly prolong the amount of time a Cannabinoid affects our body. Acidic Cannabinoids are absorbed by our body 400% better than neutral Cannabinoids and do not require a Cannabiniod receptor to produce medicinal activity. Neutral Cannabinoids are the product of aging, heat or light. THC - the only psycho-active group of Cannabinoids - and all other neutral Cannabinoids are barely present in raw Cannabis. There 16 possible classes of Cannabinoids and over one hundred Cannabinoids in each trichome; in a ratio that changes throughout development with variations between cultivars. Each act differently: CBD-acid has anti-biotic activity but CBD doesn't. Contact The Humboldt Patient Resource Center, Canna Culture Collective, Leonard Moore Co-op or ask local growers in a Cannabis forum for fresh Cannabis leaves.